Should You Lease or Purchase Your New INFINITI? You’ve decided it’s time for a new INFINITI vehicle but you aren’t sure if you should lease or purchase it. INFINITI of Birmingham understands the decision can be tough if you don’t know the differences between the two. When you buy a new car you pay for the entire cost of the vehicle. When you lease a new vehicle you only pay a portion of the vehicle’s cost keeping your payments lower. 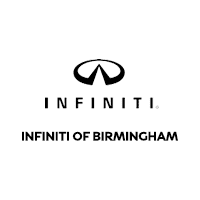 Whether you are coming from Hoover, Mountain Brook or Vestavia Hills, our team at INFINITI of Birmingham will help you find a vehicle to meet your needs. When you lease the finance institution that you leased it through actually owns the vehicle. You're only paying for the use of the vehicle. This is why you pay less per month in a lease than if you were to buy the car.